Welcome back LinuxTechi users, with the continuation of our openstack deployment with Tripleo approach. In this tutorial we will discuss the steps how we can deploy tripleo overcloud Servers (Controller and Compute) via undercloud on CentOS 7 VMs hosted in KVM hypervisor. I am assuming undercloud is already installed and configured. Let’s start overcloud deployment steps. Go to physical server or KVM hypervisor and define two VMs for compute and One for controller node. Use below commands to create qcow2 image for controller and compute VMs. Vbmc is power management tool for virtual machines, VMs can be managed via ipmitool. Using vbmc we can power off, power on and also verify the power status of a VM. We require vbmc as undercloud will require to power on / off VMs during the deployment. Note: vbmc is the replacement of pxe_ssh as pxe_ssh is depreciated now. Let’s create a inventory file(json), it will include the details of overcloud servers (Controllers and Compute). Replace the mac address of the VMs that suits to your environment. To set the role to each overcloud node, use the below commands. 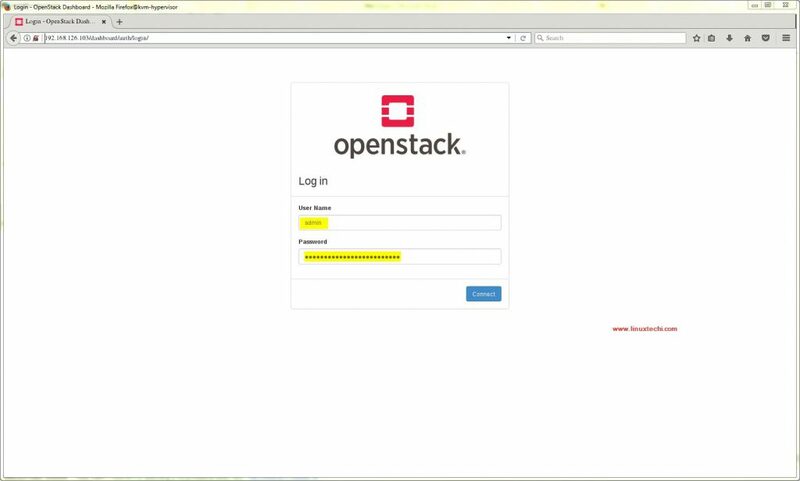 VMs with name “overloud-compute1/2” will act as a openstack compute node and VM with name “overcloud-controller” will act as openstack compute node. In the above command we are using the options like “–compute-scale 2” and “–control-scale 1“, it means we will use two compute nodes and one controller node. 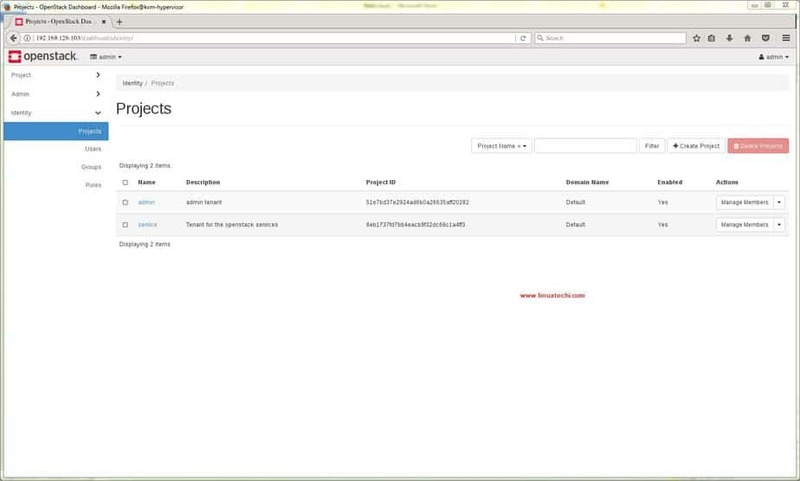 Now try to access the Horizon Dashboard using the credentials mentioned in overcloudrc file. This confirms that overcloud has been deployed successfully. Now Create Projects, Networks and upload cloud images and then you start creating Virtual machines. That’s all from this tutorial, please do share your feedback and comments. Great. For PoC and Testing, most people use VirtualBox. It will be very excellent if you deploy overcloud nodes in VirtualBox. 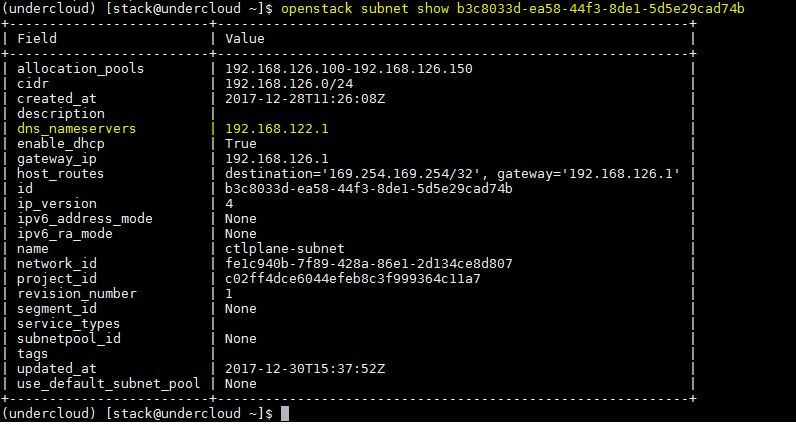 I am able to successfully deployed baremetal approach but when I have rebooted the overcloud controller network is not coming up. I have ran dhcp command but got 1 IP instead of 3 Ip’s. Not sure what is the problem. Can you tell me what could be the issue. I have the same problem,have anyone know how to check? For what I know for undercloud you need to use static ip instead of dhcp. How can I use it with a physical server? I want to enroll it in overcloud. Note: I follow the guide exactly. Its will be difficult just by providing error code. Hi Pradeep, much appreciate for your excellent guide, Thanks. I am using ESXi platform. 1 Director , 1 compute and i Control node. I followd all the steps and stuckup at import- introspect node. 0 node(s) successfully moved to the “manageable” state. Introspection of node 7906e404-3460-4156-9c9f-8d06ed403094 timed out. Introspection of node a0fc1290-81e7-41e2-a1cc-77f11511d9a2 timed out. We are facing similar problem when we run the import command. Please let me know which logs are to be seen. I’ve got the same error too, can you help me if you’ve resolved it. Thank you for the steps you provided to deploy Openstack. After following these step. Got the issue at deployment stage. Below is the Error, I get. This steps assumes you are running the UC as a bm. I am building this all as VM. I got the overcloud nodes show up and register now.